We are pleased to announce that in early 2019, our Ursa will be bred with Ca$h! Update: Ursa is in Heat!!! For details, visit our Future Breedings page! 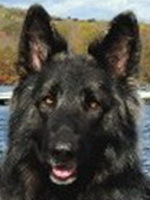 We reside with our Shiloh Shepherds on 3.5 acres of wooded land in rural Rhode Island. and conformation. We capitalized on our impressive beginnings in our own breeding program. It is our goal for you to be as happy with your Shiloh as we are with ours! Save our site as a Favorite and visit often! For Puppy News, check out our Future Breedings page! 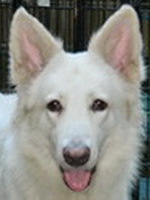 Occasionally, we have Older Puppies or Young Adults available. Contact Us for more! This pencil drawing of our own D'Argo was created by one of our Shiloh owners, Marina Zavitz of Bracebridge, Ontario! Wow! She is one talented lady! Proud Member of the ISSDC! Please Contact Our Webmaster with questions about this site. Web Template by Country Manor Designs. Web Design and Updates Copyright �2003-2019 Jan DiAngelo. All rights reserved. Web Content and Photos Copyright �2003-2019 Nancy Ponte/Ocean State Shilohs. Photos are not to be used without the written permission of Nancy Ponte!